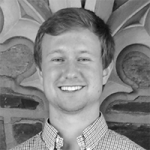 An article written by Louden Richason (’19) last summer while part of DukeEngage-Ireland was just published in the journal, Child Care in Practice, a Taylor & Francis publication. Abstract: In response to the unhealthy, threatening living arrangements separated children seeking asylum were provided with in Ireland in the early 2000s, the Social Work Team for Separated Children committed itself to replacing the inadequate care with care that truly meets the needs of children. However, the transition to the level of service provided today has only been achieved after years of criticism and a slow, steady commitment to transparency. Increased levels of discretion afforded to the social workers has led to an evolving definition of the best interest of the child and given rise to a child-protection service that provides safe environments for children to thrive and grow. This report serves to briefly sketch the history of the service, outline several distinctive features of the service, and place the service in a broader European context. Access the journal and article online.